Saibya Structures Pvt. Ltd – Building and construction industry based in Bangalore, Launched in 201 We are a builder first, and that makes all the difference. 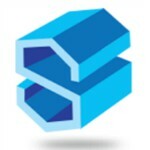 Saibya Structures Pvt. Ltd – Building and construction industry based in Bangalore. We employ quality business practices, and enjoy an excellent track record of satisfied customers and employees. We choose environmentally-responsible, close-in projects we feel good about participating in, and clients we enjoy working with. Its primary role is to promote the viewpoints and interests of the building and construction industry and to provide services.